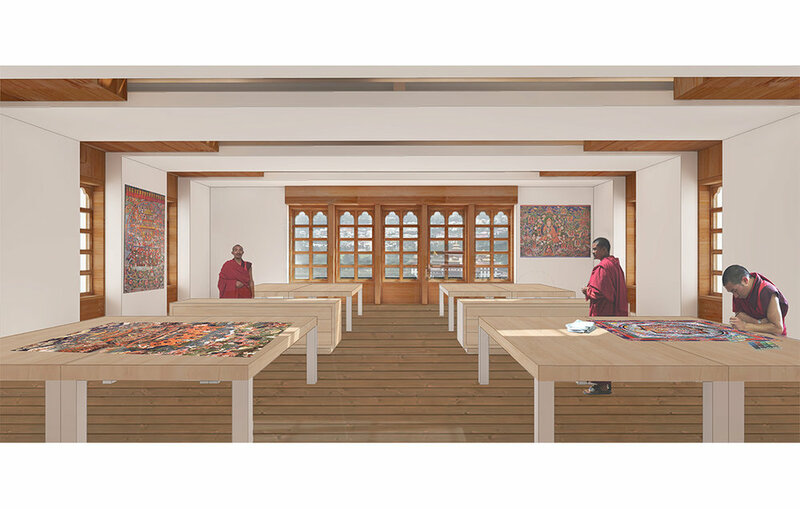 Workshop AD led the planning, programming, and preliminary design for the Thangka Conservation Center located in Thimphu, Bhutan. The Center will steward the preservation and conservation of Buddhist art and objects in Bhutan. Not only a place where international museums, private collectors, and the Buddhist community can come for conservation, the Center will confer life skills and knowledge to ordinary monks so that they may take an active role in preservation and conservation. 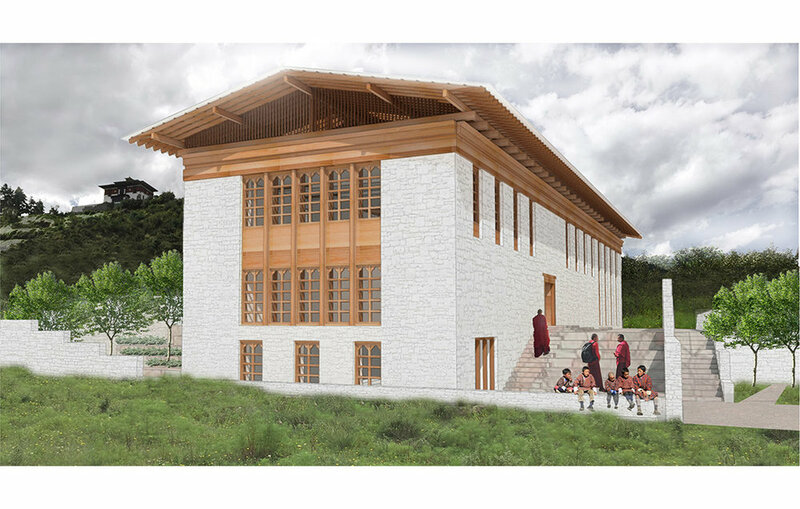 Through its reach, the Center will educate future generations of Bhutanese and preserve Bhutan’s unique living cultural and spiritual heritage. Conservation Building 1,560 sq. m.
Dormitory Building 1,170 sq. m.